I don’t think I have seen a price this low on a Vtech Kidizoom Camera before. Now you can get one on Amazon for only $23.99! 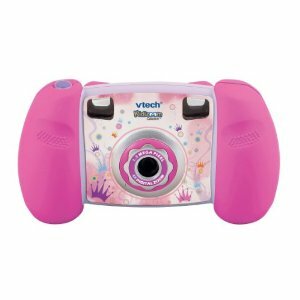 Amazon prices change often so head over to grab your Vtech Kidizoom Camera – Pink for only $23.99. Also available in orange for the same price, same deal. It is also eligible for free super saving shipping on orders $25 or more. Throw in The Lorax for only $3.99 I posted earlier, and there you go! Of course there’s free shipping for Amazon Prime members. Another note when shopping on Amazon, you can get a Free GUND 2012 Amazon Collectible Bear with a $75 purchase on qualifying toys. Thanks to Midget Momma for the info!